How Are Active Checks Performed? 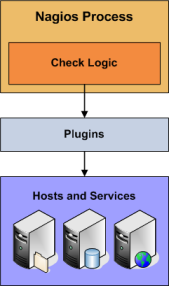 Active checks are initiated by the check logic in the Nagios Core daemon. When Nagios Core needs to check the status of a host or service it will execute a plugin and pass it information about what needs to be checked. The plugin will then check the operational state of the host or service and report the results back to the Nagios Core daemon. 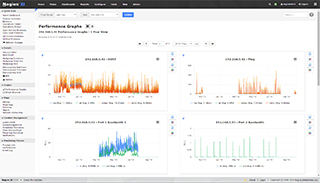 Nagios Core will process the results of the host or service check and take appropriate action as necessary (e.g. send notifications, run event handlers, etc). More information on how plugins work can be found here. When Are Active Checks Executed? Regularly scheduled checks occur at intervals equaling either the check_interval or the retry_interval in your host or service definitions, depending on what type of state the host or service is in. If a host or service is in a HARD state, it will be actively checked at intervals equal to the check_interval option. If it is in a SOFT state, it will be checked at intervals equal to the retry_interval option. On-demand checks are performed whenever Nagios Core sees a need to obtain the latest status information about a particular host or service. For example, when Nagios Core is determining the reachability of a host, it will often perform on-demand checks of parent and child hosts to accurately determine the status of a particular network segment. On-demand checks also occur in the predictive dependency check logic in order to ensure Nagios Core has the most accurate status information.